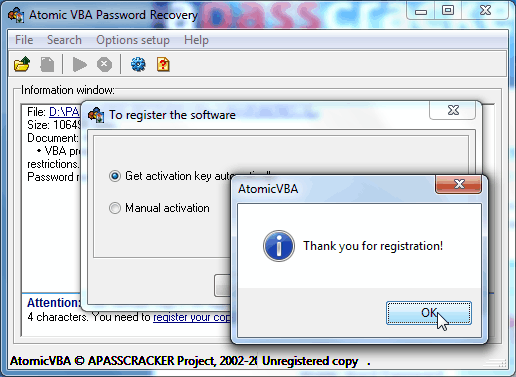 You have paid the registration fee for Atomic VBA Password Recovery and have received the registration key. Now you have to activate the product. Please find below step-to-step directions on how to carry out this simple procedure. 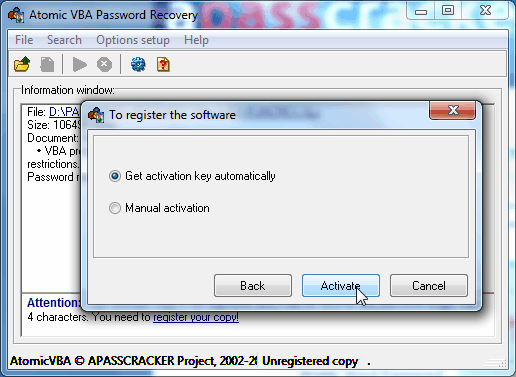 To activate the product successfully you will need to stay connected to the Internet and probably check your email. Step 1. 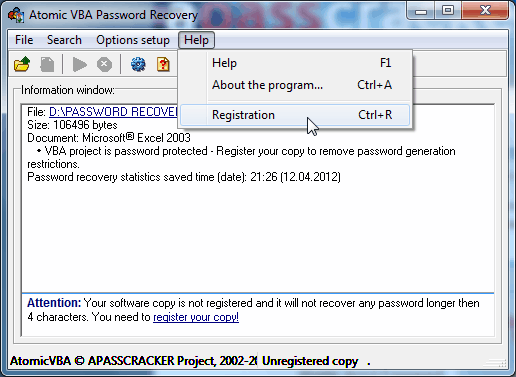 Launch the Atomic VBA Password Recovery. Another parameter, HardwareID, will be detected by the program itself. It is unique for every computer. 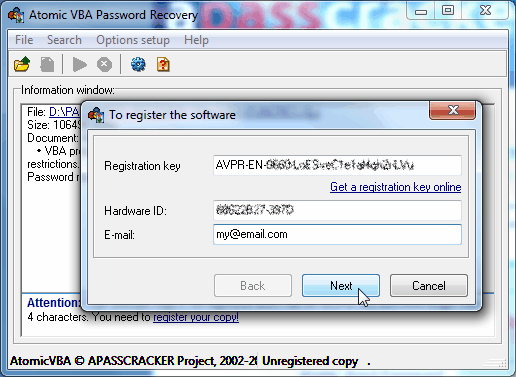 Do not enter the registration key manually! Use the Windows clipboard to copy and paste the key (choose, Ctrl+C, Ctrl+V). 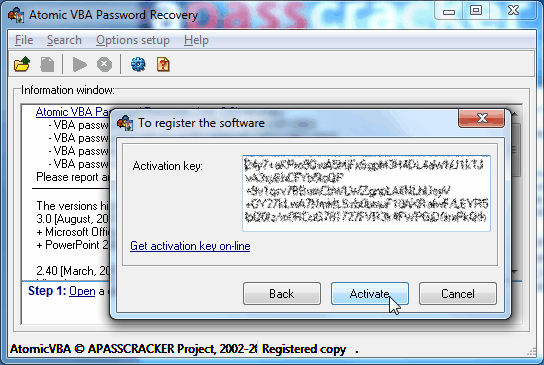 We recommend you to use this activation method. In case there is a firewall installed on your computer you should let our software get connected to the activation server. That is the only case when the Internet connection would be needed. The program will not require it any more. 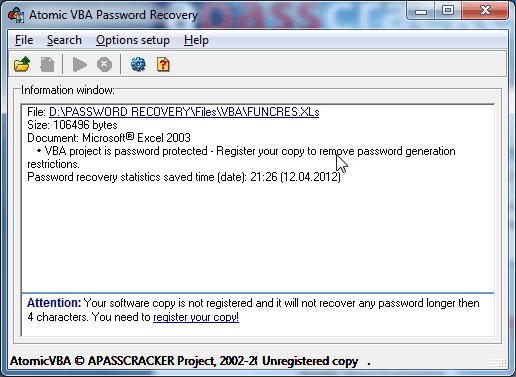 Get down to cracking your lost VBA passwords.